There is a quite the story being written today about the ways geothermal energy can help transition an existing oil and gas field into an electricity-generating system. Southern Methodist University (SMU) has been leading the research, development and promotion of such a concept for over two decades. Asian Development Bank offers bond initiative to back geothermal energy project. The Asian Development Bank (ADB) has announced it issued its first-ever bond initiative to help back geothermal energy in the emerging Philippines market. The ADB helped establish a local-currency bond valued at $225 million, on top of a direct loan of $37.7 million, to help support regional development of geothermal energy facilities. ADB will provide credit-enhancement to the Philippine firm AP Renewables, Inc. (APRI), a subsidiary of AboitizPower Corporation (AboitizPower), for the Tiwi-MakBan geothermal energy facilities. The PHP10.7 billion ($225 million equivalent) local currency bond comes in addition to a direct ADB loan of PHP1.8 billion ($37.7 million equivalent). ADB’s credit enhancement is in the form of a guarantee of 75% of principal and interest on the bond. The bank said bonds would offer an attractive alternative to bank financing for long-term renewable energy investment in the country. Chevron Corp is considering a sale of its geothermal assets in Asia, Bloomberg reported citing people familiar with the matter. The company is planning to sell the assets to offset the prolonged slump in oil prices, Bloomberg reported on Monday. The operations could fetch as much as $3 billion, said one of the people, who asked not to be named because the deliberations are private. Chevron, the largest US oil producer after Exxon Mobil Corp., is working with financial advisers on the sale, though no formal process has started, and Chevron may decide to keep the assets, the people said. A spokesman for Chevron said the company doesn’t comment on mergers, acquisitions or divestitures. Chevron has slashed head count and canceled drilling projects to slow the exodus of cash as prices in the world energy markets spiral downward. It is also seeking buyers for its stake in an Indonesian oil and natural gas field that may fetch about $1 billion, people with knowledge of the matter said in October. Chevron’s main Asian geothermal holdings, which generate energy from the earth’s heat, are based in Indonesia and the Philippines. In Indonesia, the explorer owns the Salak fields, one of the largest geothermal operations in the world, with a total operating capacity of 377 megawatts, according to information on its Web site. The company also has a 40% interest in Philippine Geothermal Production Co.
What are the building blocks for successful geothermal energy projects? Network, collaborate, and discuss with leading geothermal developers, financiers, and political experts from the U.S. and 35 countries on how leading nations are bringing more geothermal power on the line. 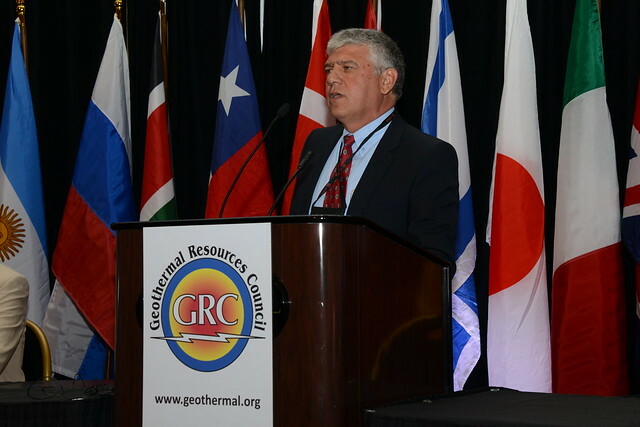 Join this global geothermal gathering for info on the latest geothermal developments, keys to financing, and new tech developments paving the way for new geothermal developments. 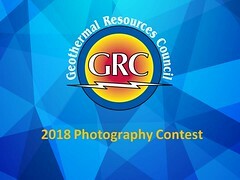 The Geothermal Resources Council is a supporter of the event. The 37th Amateur Photo Contest winners will be announced at the GRC Annual Meeting in Sacramento, California, USA. As a final step to comply with Senate Bill 123 enacted by the Nevada Legislature in 2013, NV Energy is seeking a 100-megawatt (nameplate capacity) Power Purchase Agreement for renewable energy in Nevada. Additionally, the company is looking to acquire 35 megawatts of renewable energy nameplate capacity to be owned by NV Energy. This effort requires the approval of the Public Utilities Commission of Nevada and is part of a comprehensive plan for the reduction of emissions from coal-fired electric generation plants and partial capacity replacement with increased generation from renewable energy resources. This request is for new renewable energy resources including biomass, geothermal, solar, wind or other qualifying renewable energy resources as set forth in Nevada Revised Statute (NRS) 704.7811. As part of this Request For Proposals, NV Energy is offering its existing Dry Lake Solar Energy Zone site to bidders as an option for satisfying resource needs identified in this RFP. It turned out to be an oddly warm weekend in February, but the discussions and energy seemed even hotter at a geothermal workshop hosted by the Valemount Community Forest on Friday and Saturday. About 100 people, many from the Robson Valley and some from as far away as Banff, Calgary, Castlegar, Whitehorse, Oregon and Alaska showed up on Feb. 12th and 13th for presentations and a panel discussion around the potential for various geothermal applications in the Valemount area. The workshop started early Friday afternoon with “Geothermal 101” from Craig Dunn, chief geologist with Borealis Geopower. Next came a close-up look at the variety of direct-use applications in Klamath Falls, presented by Toni Boyd, formerly of the Geo-Heat Centre at the Oregon Institute of Technology. Even though low-cost natural gas is available in Klamath Falls, geothermal heat is used to melt snow on sidewalks and bridges, heat hospitals, homes, public buildings, most of the OIT campus, and brew craft beer at what used to be the city’s old creamery. Boyd says she didn’t know as a child that the pool she swam in was heated by geothermal – now she can help you find out just about anything you need to know about direct-use, including some advice on what hasn’t worked and why. 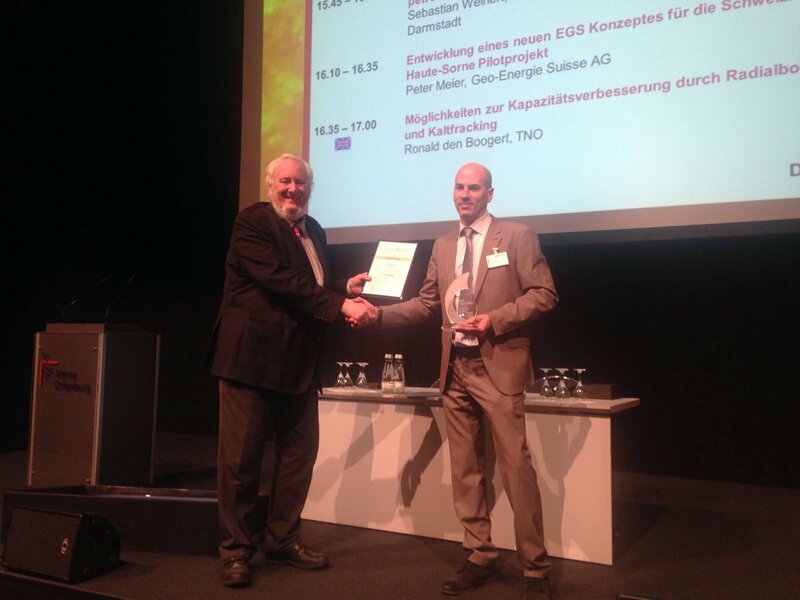 Europe: Top Innovation Award Goes to Exergy S.p.A.
Isaac Angel, chief executive officer of Ormat, stated, "We plan to add 160 megawatts to 190 megawatts by the end of 2018 by bringing new plants online, expanding existing plants as well as adding capacity from a recent acquisition. As part of this expansion plan, we recently announced the commencement of construction of the Platanares geothermal project in Honduras. In December 2015, we concluded the drilling activity as well as extensive tests that support our decision to construct a 35 megawatt project, which is larger than initially estimated." "The project expects to reach commercial operation by the end of 2017. We also initiated development of efforts in two projects in Nevada: Tungsten Mountain and Dixie Meadows are each expected to generate 25 megawatts to 35 megawatts, once they come online in 2017 or 2018. We have drilled several exploration wells both sides. And while drilling activities ongoing, we are making progress towards securing PPAs. We believe that these projects may qualify for the production tax credit." "In Sarulla, Indonesia, engineering and procurement for the first phase is completed, while in progress for the other two phases. The construction for the first phase is in progress. The infrastructure work has been substantially completed. The major equipment including Ormat’s OECs and Toshiba’s steam turbine for the first phase have arrived to the country, larger portion already at the site. 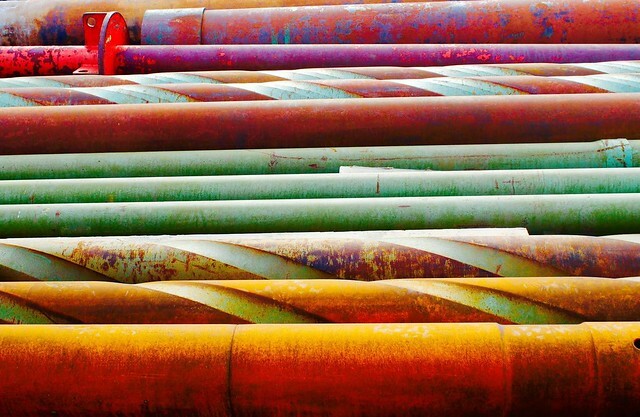 The drilling of production injection wells is also in-progress for all three phases, but currently the project company is experiencing some delays mainly in the meeting some of the drilling milestones as well as few EPC milestones." "It should also be noted that project is facing some cost overruns resulting mainly from drilling. The consortium members are examining the significance of these cost overruns and their potential implications for the project’s budgets as well as for the financing of the project since the cost overruns and drillings delays may impact the project’s ability to drove on the debt financing and force additional equity investment by the consortium members." The aim of the conference is to bring together people working on geothermal energy. By presenting their work participants are able to receive constructive feedback and revisit their work from a different perspective. Furthermore, attendees are also able to explore possible collaboration for their future academic or non-academic career in geothermal energy. As in the past 6 occasions, PhD students will have the chance to present their work both with an oral presentation AND a poster. The event will be hosted by the Department of Earth and Geo-environmental Science, at the University of Bari. Poland: "Geothermal Energy will Definitely be the Priority of this Government"
Poland, under pressure from the EU to reduce its use of highly polluting coal, will develop geothermal energy resources rather than wind farms which spoil the landscape, its environment minister said on Wednesday. Most of the electricity used in Poland is generated in coal-fueled power stations, but under European Union rules the country is required to produce 15 percent of its electricity from renewable sources by 2020, up from around 12 percent currently. In attempts to comply with these regulations, previous Polish governments have developed biomass energy sources and subsidized the construction of wind farms, but Environment Minister Jan Szyszko said the ruling Law and Justice party (PiS), elected in October, was opposed to wind farms. "Geothermal energy will definitely be the priority of this government. In this we see a chance to meet the air quality norms in big urban conurbations," Szyszko told a news conference on Wednesday. In partnership with EGS Energy, the Eden Project in Cornwall, south-west England, has planning permission for a 4 MW plant at the north end of our site. On a site the size of a football pitch, it will produce enough power for Eden and around 4000 houses, plus all the heat we can use, and more. 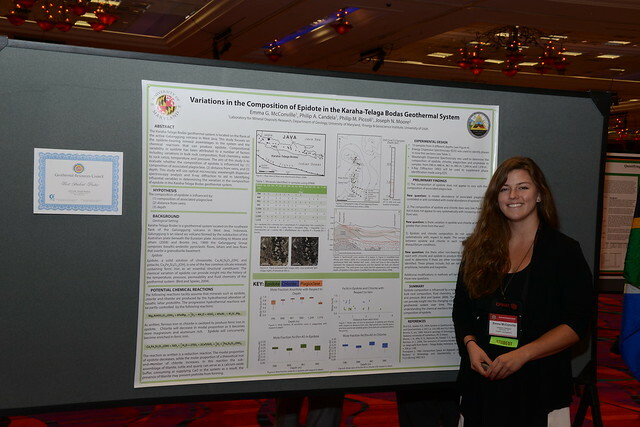 for Best Student Poster at the GRC Annual Meeting in Reno, Nevada last year. Now in its 5th year, the 2016 C3E Women in Clean Energy Symposium is soliciting excellent posters showcasing the work of women in clean energy. This Poster Competition is an opportunity for early- and pre-career researchers to participate in networking and share their research at the C3E Women in Clean Energy Symposium, a collaboration of the U.S. Department of Energy, MIT Energy Initiative, and the Precourt Institute. It also exposes attendees to cutting-edge research in a variety of clean energy fields. The presentation topic must relate to clean energy including Basic Energy Science, Built Environment and Infrastructure, Climate and Environment, Developing World, Energy Education, Energy Efficiency and Renewable Energy. All items (poster, and online form) should be submitted by February 29. The 2016 C3E Women in Clean Energy Symposium will be held at Stanford University in Palo Alto, California, in May. Attendance will be by invitation only. The fact that it is more practical to tap into geothermal energy in some places than others led to a joint study between Cornell University, Southern Methodist University and West Virginia University with support from the United States Department of Energy. The study points out the places in New York, Pennsylvania and West Virginia which are more economically and geologically suited to benefit from geothermal energy. These regions are shown in the map. The study assumed that the end-use of this energy would be district heating systems, in which homes in a community are supplied hot water through a set of interconnected pipes. The large population and high heating demand across New York, Pennsylvania, and West Virginia would translate into economic advantages and reduced carbon emissions if geothermal heating was to replace heating using fossil fuels. Ormat Technologies, Inc. today announced record financial results for the fourth quarter and full year ended December 31, 2015. Completed a share exchange transaction with Ormat Industries Ltd. The summer academy is a collection of eight individual short courses covering the “end-to-end” development of a geothermal system for electrical power generation, from initial exploration to market and political policies that make geothermal power plants cost competitive. The emerging and high-growth areas of direct use and ground source heat pumps are also included.This program is intended for outstanding undergraduates, graduate students, and professionals with strong backgrounds in science, math, and/or engineering. Summer 2016 will be a one week short course on Reservoir Engineering with Prof. Roland Horne from Stanford. June 20-24, 2016. Applications from students (2 credits) due by April 22, 2016. Applications from professionals (certificate) due by June 6, 2016. Applications accepted only until course is filled. Federal tax credits for renewable energy (RE) have served as one of the primary financial incentives for RE deployment over the last two decades in the United States. In December 2015, RE tax credits, including the wind power production tax credit and solar investment tax credits, were extended as part of the Consolidated Appropriations Act of 2016. The act extended the solar and wind tax credit deadlines by five years from their prior scheduled expiration dates, but included ramp downs in tax credit value during the latter years of the five-year period. This report explores two specific questions: (1) How might RE deployment in the contiguous United States change with these recent federal tax credit extensions? (2) How might this change in RE deployment impact carbon dioxide (CO2) emissions in the power sector? Across all scenarios, installed geothermal capacity is estimated to grow significantly over the next fifteen years relative to the industry’s starting point; however, absolute growth relative to wind and solar capacity is more limited. We estimate incremental geothermal capacity, as driven by the two-year geothermal PTC extension, to be about 200 MW in 2018, but this incremental boost is estimated to be short-lived. The tax credit extensions are estimated to result in net negative impacts to geothermal capacity during the early 2020s as higher value is provided to solar and wind at the expense of geothermal. By 2030, the tax credit extensions have little impact on installed geothermal capacity. Vancouver, Canada-based Alterra Power Corp. announces that its 66.6% owned Icelandic subsidiary, HS Orka hf, today released audited financial and operating results for the twelve-month period ended December 31, 2015. Net loss of $1.9 million was recorded in 2015 versus a net income of $6.3 million in 2014. HS Orka's share of income from associates increased by 78% to $8.9 million (2014: $5.0 million) primarily due to results from the company's ownership stake in the Blue Lagoon ehf. tourist resort, which continues to outperform expectations due to increased visitor attendance. Income from Blue Lagoon also increased due to a one-time gain of $2.0 million as a result of a share issuance by Blue Lagoon ehf. in the second quarter of 2015. HS Orka is the largest privately owned energy company in Iceland, producing 7% of the country's power needs and approximately 11% of the country's heating needs. Installed geothermal power capacity is 174 MW from the Svartsengi and Reykjanes power plants. In addition, HS Orka generates 190 MW of thermal energy for district heating. HS Orka also owns a 30% interest in Blue Lagoon, ehf., a tourist resort that adjoins the Svartsengi power plant in Iceland. New Mexico: Geothermal Bill is on Governor's Desk - Please Sign! New Mexico only has one geothermal plant currently operating, the 4 MW Lightning Dock project developed by Cyrq Energy, which could eventually be expanded to 10 MW. But the state wants to go further, and lawmakers in the House and Senate have both passed a measure to spur development. The bill would give the Energy Conservation and Management Division the authority to put forth "regulations governing geothermal resources and provides for administrative penalties for violations, with appeals to district court," according to a synopsis. It also allows for actions in district court for water rights owners claiming damage from geothermal resource exploration, development, or production. The National Grid Corporation of the Philippines (NGCP) expects to complete a transmission facility in Eastern Visayas this year that it said was “crucial” to the recovery of the province from recent typhoons. The work involves the construction of an overhead transmission line spanning almost 80 kilometers of the Ormoc-Babatngon 138-kilovolt (kV) line in Leyte, the grid operator said. It also covers the installation of upgraded equipment at the Ormoc and Babatngon substations. The line will serve as the corridor that will transmit the power supply from geothermal plants in Leyte to Samar Island. It will also increase the reliability of power transmission to Samar, which has no internally generated power, and is dependent on the supply from Leyte. The first test drilling for the Mol geothermal district heating project in Antwerp province, has exceeded expectations. According to results the temperature of the geothermal brine is hotter than expected and also the amount that can be pumped is greater than was predicted. Next week a second well will be drilled on the Balmatt site. Next summer the project will begin supplying heat to the surrounding area. The Flemish Institute for Technological Research (VITO) has been conducting the region’s first large-scale deep geothermal energy project for about six years. The researchers first mapped in detail the deep subsurface of the Mol region to a depth of more than 4km, using seismic data obtained using ground impact systems known as thumper trucks. VITO estimates that the two wells have a geothermal potential of 15 to 17 MWth and an electric potential of more than 1.5 MWe. A complete geothermal energy station (based on 6 wells) would deliver more than 5 MWe. By then the Balmatt site would be the fourth largest geothermal energy station in Europe. California's electric system operator (CAISO) is studying the possibility of turning the entire West into a single electricity market. It's the beginning of a process that could eventually turn as many as 38 individual balancing authority areas (BAAs) into a market richer in resources than the Midcontinent Independent System Operator (MISO) or the PJM Interconnection. But first, crucial questions need to be answered about who will pay, who will benefit, and what kinds of energy the system will carry. The Kamojang Unit of PT Pertamina Geothermal Energy (PGE) is cooperating with the Badan Pengkajian dan Penerapan Teknologi (BPPT) - the Technological Study and Application Center, in an experiment to build a 3 MW geothermal power plant. Under the cooperation scheme, the Kamojang unit of PGE will supply geothermal steam to a power generating plant now being built and to be operated by BPPT, general manager of the Kamojang unit of PGE Wawan Darmawan told reporters here on Saturday. He said the mini power plant being built by BPPT is located in the working area of PGE's geothermal power plant in Kamojang. BPPT is scheduled to conduct trial operation of the plant in May. Iran and Azerbaijan have reached agreements on construction of new renewable power plants, connection of Iran’s electricity grid to Russia as well as development of electricity trade. A fresh round of electricity and energy talks between Iran and the Republic of Azerbaijan kicked off on Sunday morning in Tehran revolving around construction of new wind and geothermal power plants. “After the removal of sanctions, the ties between Iran and Azerbaijan have been increasingly developing,” stressed Iran’s energy minister. Facing a lawsuit by a group opposing the exploration, plus dwindling funding and loss of key staff, the University of Hawaii is requesting that the state Board of Land and Natural Resources (BLNR) cancel an exploration permit issued to the university last March. Additionally, researchers are asking BLNR to rescind another permit the board approved for the exploration, according to a request submitted by state Department of Land and Natural Resources Chief Engineer Carty Chang. The new development is a victory for the Pele Defense Fund, said the group’s vice president, Terri Napeahi. DLNR contracted UH in June 2014 to continue magnetotulluric and gravity surveys on the Hualalai West Rift Zone. The BLNR approved two exploration permits, one in March 2015 and another in June, although the second permit has not been issued because of documentation issues. The survey, funded by the U.S. Department of Energy and state DLNR, would have taken place on 19 parcels on agricultural land. But UH has been unable to progress past the permitting stage and future funding is questionable, according the Chang’s submittal to the land board. Uganda and Tanzania are set to begin generating electricity from geothermal resources to plug the supply deficit. Green Impact Development Services (GIDS) is carrying out exploration and evaluation of geothermal resources with aim of developing a 100 MW power plant at Buranga in western Uganda. Uganda's Energy Ministry said government is promoting the use of renewable sources such as geothermal energy, as alternatives to hydropower and fossil fuels generation. GIDS said pre-feasibility studies at the Buranga project showed that subsurface water temperatures of 150 to 200 degrees Celsius are suitable for electricity production for direct use in industry and agriculture. "The company is planning to drill three deep exploration wells at the prospect and develop 30 MW well-head geothermal power plant units at each successful well," said the firm. This will require at least $42 million. By the end of 2013, Uganda had granted geothermal exploration licences to Ascot Associates Ltd, Clean Source Energy Partners Ltd, FCN Energies Ltd, Cozumel Energy (U) Ltd, GIDS, the Katwe Geothermal Power Project Ltd, Pawakom International Ltd and Moberge Finance Ltd.
Uganda and Rwanda have signed a memorandum of understanding with Kenya to help expedite geothermal development. They are expected to benefit from the financial advice of the Kenya Electricity Generating Company and Geothermal Development Company. Inspired by iconic New Deal-era posters, the Energy Department’s Loan Programs Office created its own poster series to highlight projects it helped finance through the Section 1705 program. Seven years ago today, President Obama signed the American Recovery and Reinvestment Act (ARRA, or the Recovery Act) into law and created the Section 1705 Loan Guarantee Program. The Recovery Act was designed to spur economic growth while creating new jobs and saving existing ones, similar to New Deal programs like the Works Progress Administration (WPA) that invested in large-scale projects such as the Hoover Dam -- the world’s largest dam at the time of its opening. Between 2009 and 2011, the Energy Department's Loan Programs Office (LPO) guaranteed $16.1 billion in loans to 25 Recovery Act projects. These projects supported more than 10,000 jobs and have the capacity to power more than 1 million average American homes annually. Geothermal power can play an important role in making electricity generation cleaner while maintaining reliability by balancing the variability of other emissions-free sources like solar and wind. 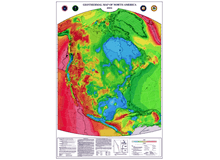 Innovative exploration and conversion technologies can help get the most out of our nation’s substantial geothermal resources. In 2010-2011, LPO guaranteed loans through the Section 1705 program for three geothermal projects -- Blue Mountain, Ormat Nevada and USG Oregon. The Indonesian Energy and Mineral Resources Ministry is drafting new ministerial regulation aiming at luring investment in the geothermal energy and reducing exploration risks, a senior official at the energy ministry said. Director for Geothermal Energy at the energy ministry Yunus Saifulhaq said exploration in geothermal energy is a high risk activity. Therefore, the government is planning to takeover the exploration activities to prove geothermal reserves. Once reserves are proven, the working area is then offered to investors. Based on the Law No. 21, 2014, the government is preparing to issue new polices in the upcoming regulation. First, the government will assign a state owned company to obtain Working Area without tender. Second, conducting exploration commitment tender with feed-in-tariff and third, limited auction, in which the government offers freedom to investors or developers to choose location, so that they can conduct preliminary survey and exploration. In this third option, an entity or company will be given assurance that the future development of the working area remains in the hands of the company. Kenya Electricity Generating Company (KenGen) has announced a plan to set up a geothermal board of consultants as it seeks to step up power production from the resources. The state owned company Thursday begun the recruitment exercise of the six consultants, four foreign and two local. The experts will advise KenGen’s management on geothermal development activities and power plants operations annually, subject to yearly renewal for a period of four years. Lawmakers have advanced a bill curbing the ability of counties to pass their own laws regulating geothermal power plants in Hawaii. The Environmental and Energy Study Institute (EESI) and Geothermal Energy Association (GEA) invite you to a briefing highlighting the state of the geothermal energy industry and its near-term prospects in the United States and in more than 80 other countries working to expand its use. With demand for clean energy accelerating around the globe, geothermal energy has major potential as a renewable resource that can provide power around-the-clock, complementing intermittent renewable power technologies. The International Renewable Energy Agency (IRENA) launched the Global Geothermal Alliance at COP-21 in Paris this past December to achieve a 500 percent increase in global installed capacity for geothermal power generation and a 200 percent increase in geothermal heating by 2030. Bringing together Turkey’s indigenous energy resources with high technology, Zorlu Energy Group signed a cooperation agreement with Toshiba Corp. which stands out with its efficient and low-emission power plant technologies. The agreement will bring together Zorlu Energy Group’s expertise in all phases from project design to construction and operation with Toshiba Corp.’s global experience in providing high technology engineering and products. Taking effect as of January and valid for 1 year, the agreement will inspire realization of clean coal, geothermal and hydroelectric power plant projects at international standards. What attendees at the GRC Annual Meeting & GEA Geothermal Energy Expo will appreciate the most is convenience. The Sacramento Convention Package features the Sacramento Convention Center and two major convention hotels - Sheraton Grand (503 rooms) and Hyatt Regency (503 rooms). There are only 273 feet between the three facilities with an additional 1,100 rooms within very close walking distance. The Sacramento Convention Package is surrounded by Downtown and Midtown, where you'll find on foot an entertainment mecca - restaurants, live music and theater, attractions, art and culture, nightclubs and bars, and shopping. The GRC Annual Meeting & GEA Geothermal Energy Expo will be held October 23-26 in Sacramento, California, USA. The origins of high-grade hydrothermal ore deposits are debated, but active geothermal systems provide important clues to their formation. The highest concentrations of gold are found in geothermal systems with direct links to island arc magmatism. Yet, similar concentrations have also been found in the absence of any input from arc magmas, for example, in the Reykjanes geothermal field, Iceland. Here we analyse brine samples taken from deep wells at Reykjanes and find that gold concentrations in the reservoir zone have increased over the past seven years from an average of 3 ppb to 14 ppb. The metal concentrations greatly exceed the maximum solubility of gold in the reservoir under saturated conditions and are now nearly two orders of magnitude higher than in mid-ocean ridge black smoker fluids—the direct analogues of Reykjanes deep liquids. We suggest that ongoing extraction of brine, the resulting pressure drop, and increased boiling have caused gold to drop out of solution and become trapped in the reservoir as a colloidal suspension. This process may explain how the stock of metal in the reservoirs of fossil geothermal systems could have increased over time and thus become available for the formation of gold-rich ore deposits. Senator Ron Grigg’s SB 223 passed both Senate and House is on its way to the Governor for action. SB 223 is a bill that reorganizes and cleans up the state’s current laws concerning geothermal. It creates the Geothermal Resources Development Act and repeals the Geothermal Resources Conservation Act. If it becomes law, the new Act transfers duties to regulate geothermal resources from the Oil Conservation Division to the Energy Conservation Management Division of the Energy, Minerals, and Natural Resources Department. The geothermal power plant at Neal Hot Springs west of Bully Creek Reservoir is producing way beyond developers’ expectations, and now they would like to explore geothermal development around Vale Butte. U.S. Geothermal’s Neal Hot Springs plant came online in 2012 and produces 22 net megawatts of power from three generation units. The plant is operating at 99 percent availability, GRC Member Scott Nichols, land and environment manager for U.S. Geothermal, said during a meeting with the Malheur County Court Wednesday. Two years ago, U.S. Geothermal signed leases with Malheur County and other property owners around Vale Butte to explore the potential of geothermal development there. Because there is no existing market for the power, any work in the area, such as testing, is delayed, but the company is still interested in the site and in maintaining its leases, Nichols said. 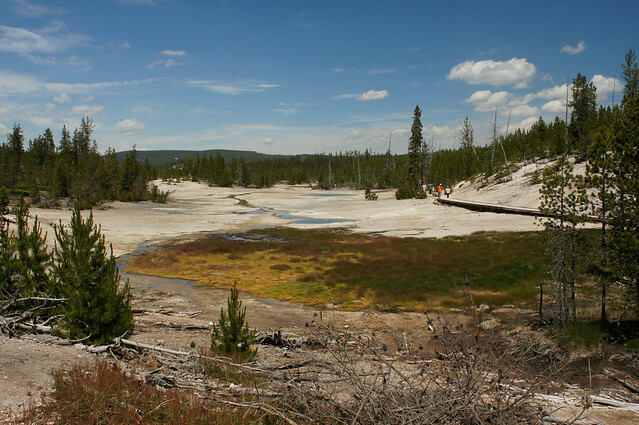 Microbes such as those that thrive in the extreme environments of Yellowstone Hot Springs have been part of studies conducted at the U.S. Department of Energy Joint Genome Institute (DOE JGI), a DOE Office of Science User Facility, for their potential bioenergy and environmental applications. A team of researchers from the Pacific Northwest National Laboratory and DOE JGI, led by longtime DOE JGI collaborator Bill Inskeep of Montana State University, developed a conceptual model that details how microbial mats are formed in hot, acidic springs in the Yellowstone caldera. The team sequenced DNA samples extracted from two acidic geothermal springs at various timepoints over two months in Norris Geyser Basin at Yellowstone National Park. The data allowed the team to track the formation of microbial mats, beginning with primary colonization by Hydrogenobaculum species and Metallosphaera yellowstonensis, and how these populations as well as those of other microbes that colonized later changed over time in response to availability of nutrients such as oxygen and carbon. These studies continue to build on the decades of microbial field studies Inskeep and his team have done at Yellowstone National Park. The insights gained from this model, the team noted, could provide insights into microbial life at other hot springs ecosystems and, potentially, on other planets. “Two of the six experts must be local experts. One local expert will be specialized in geothermal drilling while the other will be specialized in geothermal field exploration and development,” reads an expression of interest notice published by KenGen. The Tender, #KGN-GDD-002-2016, Expression of Interest (EOI) For Recruitment of Members of Kengen’s Geothermal Board of Consultants is available on the KenGen/Tenders webpage. The deadline for submission is March 8. In 2014, the National Renewable Energy Laboratory (NREL) began developing the Regulatory and Permitting Information Desktop (RAPID) Toolkit to act as a hub location from which users can easily and quickly access links to permit documents, processes, best practices, manuals and related information. The RAPID Toolkit currently hosts information about bulk electricity transmission, geothermal, and solar technologies and is being expanded to include information about developing and permitting hydropower projects. NREL personnel gave a presentation on the progress of RAPID Toolkit development during the Northwest Hydropower Association’s annual conference held in Portland, Ore., Feb. 16-18. NREL will release the finalized toolkit during HydroVision International 2016, scheduled for July 26-29 in Minneapolis, Minn.
Ecuador will launch a detailed pre-feasibility study at the Chachimbiro geothermal project in April thanks to a USD 7 million (EUR 6.3m) grant from Japan, the Andean nation's electricity ministry said on Tuesday. Chachimbiro is part of Ecuadorian-Japanese cooperation in renewable energy and energy efficiency, worth nearly USD 20 million. 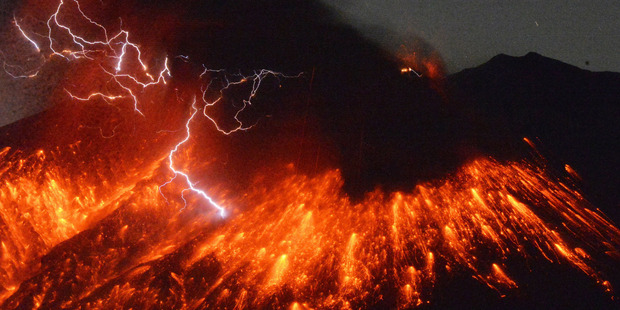 Scientists have turned to an intriguing place to source cheaper, more efficient energy - blazing-hot magma kilometers below the ground. The concept is being explored in one of 18 international research collaborations just awarded nearly $5 million in government funding. At present New Zealand sources about 13 per cent of its electricity from its geothermal assets, drawing out water pre-heated to temperatures of up to 350 C from hot rock deep beneath the Earth. But Canterbury University volcanologist Dr Ben Kennedy said it was possible much more energy could be found from sourcing even hotter fluids at the margins of magma chambers, where temperatures run from 700 C to 1200 C.
It would mean drilling several kilometers into the Earth with equipment that could withstand the "acidic and supercritical fluids" that would be produced when magma was struck, he told the Herald. The university is working alongside Victoria University (Australia), Mighty River Power (NZ), Liverpool University (UK), Strasbourg University (France), University of Alaska Fairbanks (USA) and Icelandic power company Landsvirkjun, in a new consortium. The Tanzanian Minister of Energy and Minerals, Prof. Sospeter Muhongo, has recently committed the Tanzania Geothermal Development Company (TGDC) to start with drilling activities in the Lake Ngozi area in the Mbeya region in southern Tanzania by June, 2016, to set the basis for the construction of power plants for geothermal generation. 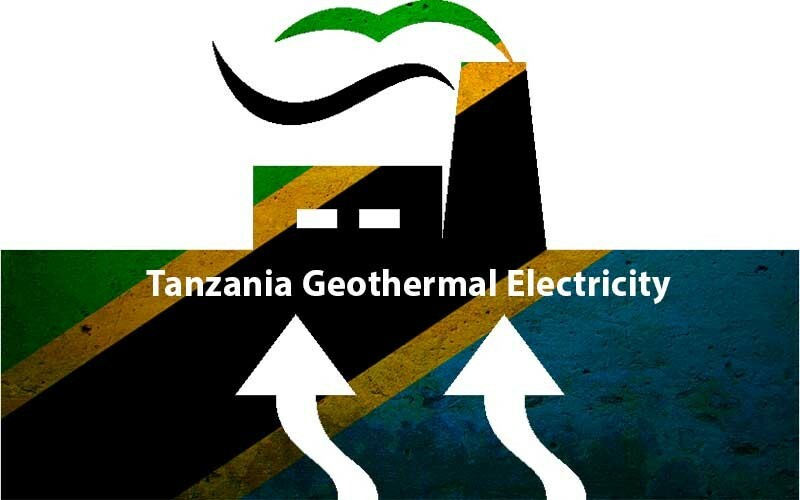 According to TGDC, Tanzania has a geothermal electricity generation potential up to 5,000 MW thanks to its strategic position between the eastern and western arms of the East African Rift Valley, which has given Tanzania the third largest geothermal resources in Africa following Kenya and Ethiopia with approximately 10,000 MW.